We are currently searching for a new location. If you have a great spot and would like to discuss a great, new seasonal revenue stream, we'd love to hear from you. Following a great 8 year run of horrors at various locations, including a stretch from 2013-2016 heading up the efforts raising funds for the Nile Shriners, I have elected to step back from producing haunted attractions and ultimately move in another direction with the Haunted Nightmare brand. The previous partnership resulting in the "Haunted Nightmare at the Nile" name has been rebranded to "Nile Nightmares". While I am no longer producing the Nile Shriners' event, I am still proud to be part of that team supporting the world's greatest philanthropy, of which I am also a member. They have an amazing Scream Team and I highly encourage you to face your fears and check 'em out this October and December. Just beware The Ringmaster and Frostbite the Snowman!!! 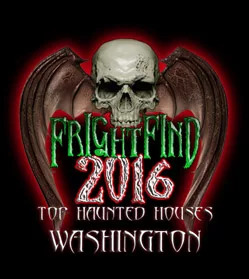 Also, be sure to mark Saturday, October 27th on your calendar and keep an eye on our sister site, HauntedNight.com, for information regarding my 21st annual Halloween bash!! !